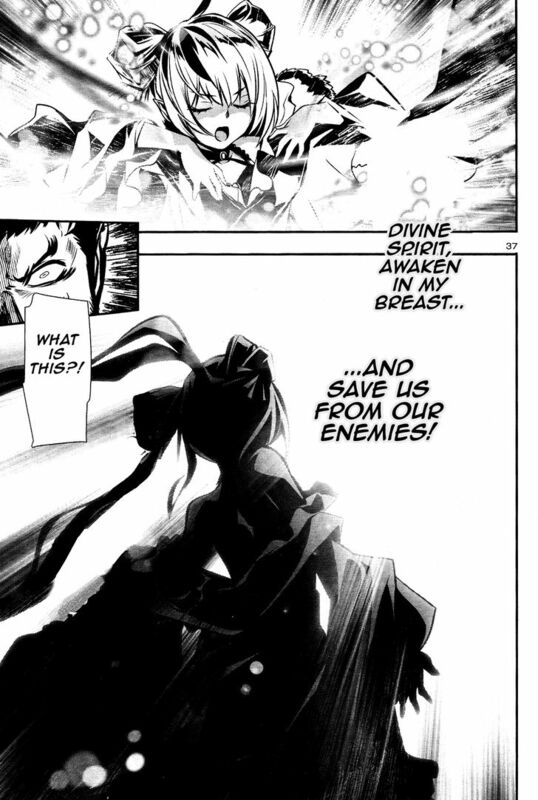 I won't go too much into the story cause it's a really interesting manga to look into, the main character, Kai Watari, who has the power to transform into a demonic form by drink "Ambrosia" from chosen princesses breasts (You read that right) is about to go into battle with the Yashimoto Army with the leader of Hasas, Suzuri, who releases her power causing her near non existent chest to grow huge so Kai can partake. Happens in the 2nd to last page of the chapter. I almost swear her body/face changed a bit too, but that may be just me. The Overmind apologizes for resurrecting this thread, but feels that given that this series is already known to the forum, it's contribution is not worth a new thread. Firstly now that chapter 28 is out the first 2 pages give a much better view of that character's adult form. Secondly the character of Sakura undergoes minor BE when changing into her alter ego: Shakuntira. It is not obvious but careful observation by the overlords have revealed that Shakuntira is definitely bigger and that it's not just minor art inconsistencies and perspective. The drones have recovered specific examples for comparison; note the size of the breasts compared to her head.